We all know that it’s important to take care of your skin on a daily basis if you want to stay looking your and healthy. Lucky for us, SkinStore can help us do just that. The skin specialist store offers a variety of skin, beauty, and hair care products that can help you look and feel good from head-to-toe. Plus, with a coupon code from Dealhack, you can get everything you need to keep your skin glowing at a discount. Skin products on offer from the site include a myriad of lotions, cleansers, toners, gels, serums, soaps, and creams. Cosmetic options consist of eyeshadow, liquid eyeliner, brushes, powders, foundations, brow gels, and more. You name it; they’ve got it. Hair products you can shop for at SkinStore include brushes, shampoos, conditioners, treatments, styling tools, masks, and more. Natural products, gift items, and fragrances are also for sale. If it can help you feel beautiful, there’s a good chance they have it at SkinStore. Some of the popular brands you can find on sale at SkinStore include Calvin Klein, Elemental Herbology, LashFood, Lab Series, Hampton Sun, Instant Peel, Anastasia, Clark’s Botanicals, Hanson Medical, Karuna, and Fake Bake. You can also find exceptional offerings from favorites such as Joey New York, Michael Kors and Serious Skincare. Plus find Vera Wang, Oscar Blandi, Radical Skincare, Paula’s Choice, TanTowel, Russell Organics, Pure Inventions, and Skin Authority. Free shipping is available for orders that are $49 and up, and you can choose three free samples with your order. Don’t forget to check out the specials section to pick up items that are significantly marked down from their original price. And while you’re at it, make sure to use a SkinStore coupon from this page when you finally check out on the SkinStore payment page. If you are visiting us here at Dealhack, it’s most likely because you are looking to save on your SkinStore order. Our coupon experts scour the web to find the best ways to help you save. If one of our coupons listed above has a code attached, apply it at checkout to activate the offer. Look for the “Got a discount code” box in your shopping cart. SkinStore connects with their fans on Facebook and Twitter. Use social media to share skincare tips and information on new products they have on offer. Do you need to get in touch with SkinStore? You can dial 1-888-586-7546, use the live chat feature on their website, or send them an email. 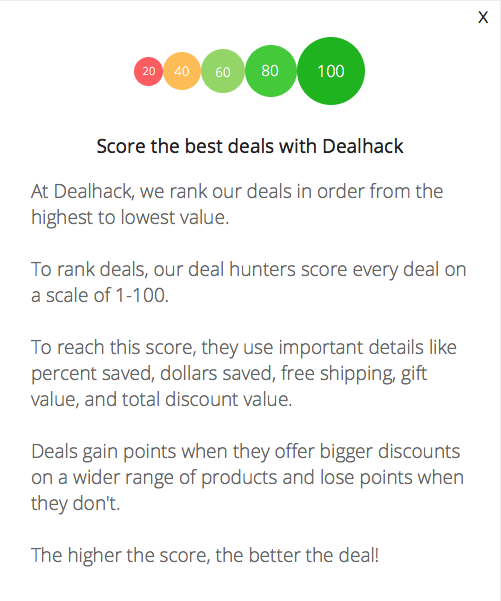 Enjoy the savings from our latest coupons because the team here at Dealhack loves a good deal! Sign up for the SkinStore email newsletter and get notified of the latest deals and discounts. Check out the SkinStore daily special for significantly marked down items. Free samples are available with every online purchase from SkinStore. We do our best to have every SkinStore discount code listed on this page. If we don’t have one you like, you can also check the discount codes listed on their website. What is Today’s Best SkinStore Promo Code? The best SkinStore promo code right now is SALEX10. This code is for 'Clearance: 60 - 70% off select items'. Copy it and enter it on the SkinStore checkout page to use it. Free shipping is available on orders over $49. Standard shipping within the US is $5 for orders under $49. Unused items can be returned for a refund (minus shipping costs) within 30 days. To initiate the refund process, request a Return Merchandise Authorization (RMA) number the site.